GB Productions creates original plays, musicals, novels, television, film, and educational programming. 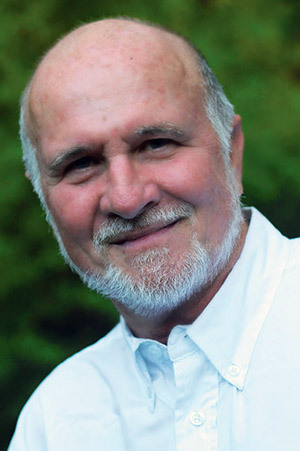 "Acclaimed playwright Granville Burgess is simply a great writer, and in his first novel, a tender, romantic book, his prose sings." "Burgess weaves a page-turner tale of intrigue and romance. A skillful, colorful, witty novel, full of humor and intelligence, with memorable, well-rounded characters who feel life-like enough to hug. Burgess has treated us to a rare glimpse inside the rich and complex community life of the Pennsylvania Dutch Amish." Rebecca Zook lives with her close Amish family in Lancaster County, Pennsylvania. 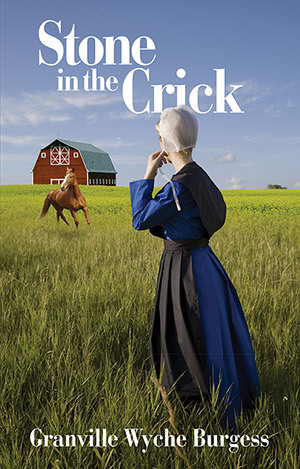 She has always loved her family and the Amish way of life, so she’s having difficulty understanding why, lately, she feels as stuck as a stone in the family crick. On the surface, Rebecca tries not to let this feeling show. After all, she has nothing to complain about. The family farm is thriving and, after completing her chores, she enjoys working at Mrs. Ansbacher’s quilt shop, where she puts her talent for quilting into practice. And her fiancé, Jacob, is a good, honest man with his own successful farm. Even so, Rebecca feels restless. An artist by nature, she longs to make unusual quilts with new designs, but the Amish distrust artistic expression, fearing it can lead to the sin of pride. As for Jacob, while he’s certainly a match any Amish girl would love, Rebecca worries their union will lack something special, a feeling she’s careful to keep to herself. Then good-looking Englisher Gregory Pinckney comes to the county, searching for the birth mother he never knew. Despite their differences, Rebecca and Gregory find a common bond in their love of horses, especially Gregory’s horse, Bojangles. As their friendship grows, Rebecca’s heart is torn in yet another direction. Rebecca isn’t the only woman drawn to Gregory. Beautiful, spirited Wanda Heminger has set her sights on the handsome young man. The daughter of dissolute horse-farm owner Ivan Heminger, Wanda is an accomplished rider. Rebecca comes from a culture where animals are meant for work, not play, how can she hope to match Wanda’s riding skills, not to mention her rival’s education and worldliness? When her father loses his savings, the family farm is threatened. Then Bojangles is poisoned in an insurance scam, and a furious Gregory sets out to find and punish the person responsible. The culprit is willing to go to any length to conceal his crime, including murder. Gregory’s life is in danger, Rebecca’s world is unraveling, and a way out seems all but impossible. 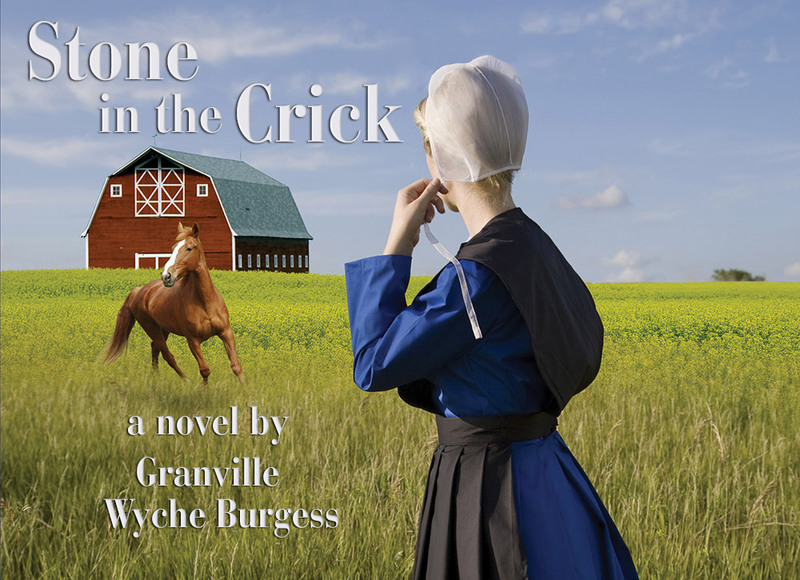 A stirring tale of intrigue and danger set against the backdrop of a traditional Amish community, Stone in the Crick will delight lovers of romance and anyone drawn to dramatic mystery novels. Granville Burgess donates all author proceeds to Lancaster Area Charities. 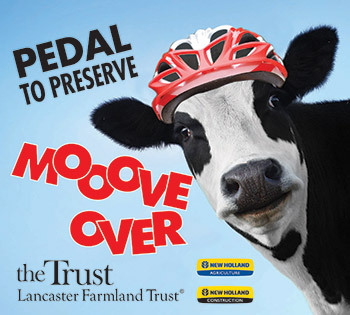 Read Granville's blog about the Pedal to Preserve event, benefitting Lancaster Farmland Trust.